The Hang surprises everyone, the young ones… the wise ones, and everyone in between. I enjoy performing both in schools and old age homes; the reactions to those special sounds are strong… and sometimes quite emotional. Beyond simply playing my pieces, I will also explain the development, philosophy and the fascinating story of the Hang. Together we will explore the numerous aspects of this fascinating instrument. 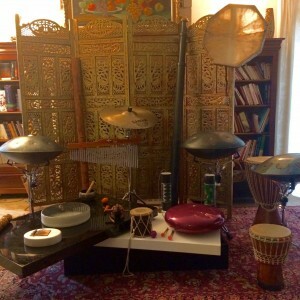 I also bring with me numerous instruments and musical accessories (Zag Drum, Rav Drum, Sansula, rain and thunder sticks, Tibetan bowl, Tibetan bells, shakers…) to play all together: music, discovery, learning, improvisation – laughter and tears will combine in a beautiful emotional journey.